For audiences of the popular FX television series The People v. O.J. Simpson: American Crime Story, based on Jeffrey Toobin's The Run of His Life and starring Cuba Gooding, Jr., John Travolta, David Schwimmer, and Courtney B. Vance. Named on Vogue Magazine's "American Crime Story Reading List" as one of the "eight definitive books on the trial of the century." Twenty years ago, America was captivated by the awful drama of the O.J. Simpson trial. The Simpson "Dream Team" legal defense had a seemingly impossible task: convincing a jury that their client was innocent of the murders of Nicole Brown Simpson and Ron Goldman. In order for O.J. Simpson to get away with murder, the defense attorneys had to destroy the reputation of Mark Fuhrman, a brilliant Los Angeles detective who was the lead on the murder scene and had collected overwhelming physical evidence against Simpson. Now Fuhrman tells his side of the story in the #1 New York Times bestseller Murder in Brentwood, a damning exposé that reveals why and how Simpson's prosecution was bungled. Fuhrman offers a sincere mea culpa for allowing his personal mistakes to become a focal point of the defense's strategy but also stands by the evidence he collected, writing: "One thing I will not apologize for is my policework on the O.J. Simpson case." 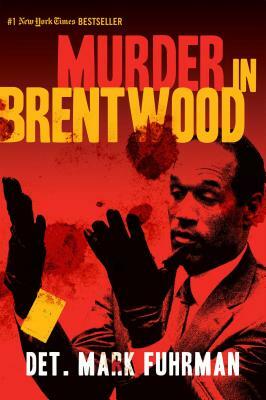 With Fuhrman's own hand-drawn maps of the crime scene, his reconstruction of the murders, and interrogation transcripts, Murder in Brentwood is the book that sets the record straight about what really happened on June 12, 1994and reveals why the O.J. Simpson trial was such a catastrophe. MARK FUHRMAN received more than fifty-five official commendations during his twenty years with the Los Angeles Police Department. Prior to his police career he was a sergeant in the U.S. Marine Corps, having first enlisted at the age of eighteen. An avid outdoorsman and artist, Mr. Fuhrman now resides on a small working farm in northern Idaho with his family.